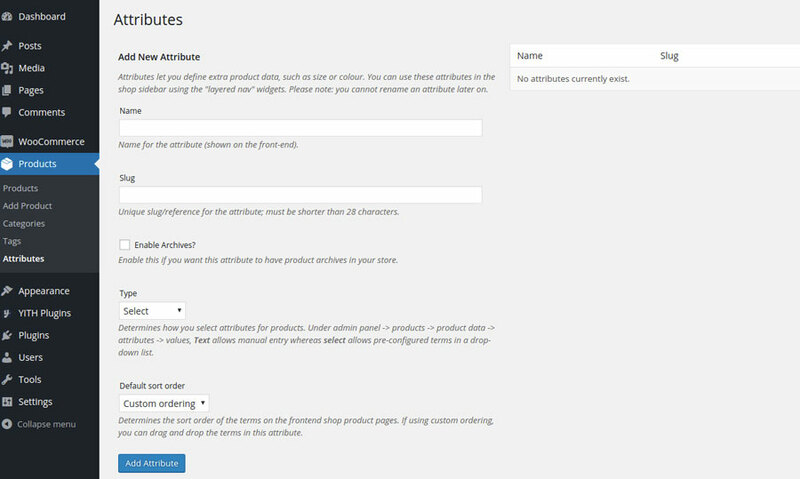 YITH WooCommerce Color and Label Variations allows you to create custom attributes for your product variations. In this page, we will configure attributes together step by step, so that the way to do that will be as clear as possible. Click on Products > Attributes and you’ll see a page like this. Enable Archives: enable this if you want this attribute to have product archives in your store. Type: attribute type. 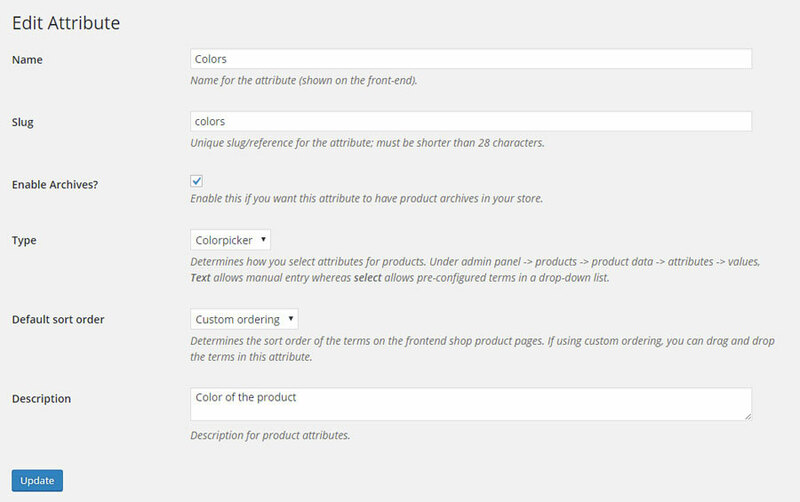 Beside standard WooCommerce types, the plugin adds attribute types: Colorpicker, Image and Label.